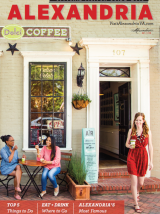 The City of Alexandria is a "Walk Friendly" community! The Pedestrian and Bicycle Information Center has designated the Alexandria a Silver-Level Walk Friendly Community for its walkability initiatives and programs. Alexandria is among 10 communities recognized in the latest round of Walk Friendly Communities announced. The Walk Friendly Community designation, awarded from bronze to platinum, is given to applicant communities that have demonstrated a commitment to improving and sustaining walkability and pedestrian safety through comprehensive programs, plans and policies. To date, 21 communities in the U.S. have been designated as Walk Friendly Communities. Sponsored by the U.S. Department of Transportation Federal Highway Administration and FedEx, Walk Friendly Communities is a national recognition program aimed at recognizing communities for their commitment to pedestrian safety. For more information, visit alexandriava.gov/LocalMotion or visit www.walkfriendly.org.